Sberbank has become a leader among Russian companies. The bank’s capitalization in the Moscow Stock Exchange is higher than Rosneft indicators. As of the trading day closure, the total worth of Sberbank shares reached RUR 4.4 tln ($66.5 bln). Rosneft capitalization was below that level, down to RUR 4.3 tln ($65.4 bln), RIA Novosti reports. 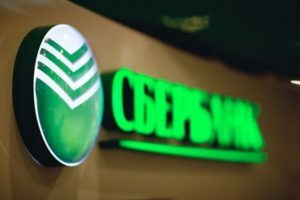 Thus Sberbank won back its leading position from Rosneft after losing it in August 2018. Sberbank shares fell last summer due to investors’ fears of the bank being subject to new US sanctions. Rosneft shares, on the contrary, grew as the global oil prices were increasing. The third largest company is LUKoil (RUR 3.6 tln, or $54 bln). In October, Sberbank received RUR 72.8 bln rubles ($1 bln) in net earnings. The total net revenue over the ten months of 2018 was RUR 686 bln ($10.2 bln).